Jessica was told all of her life, “you can draw better than anyone!”. As she grew older, she wanted to have a career that let her be creative and use her artistic talents. Architecture seemed the perfect fit! Jessica pursued her childhood talent at a reputable University, interned at a reputable architecture firm, and realized that she able to bring the dreams of her firm's clients to life! This was enormously satisfying and fulfilling. The J-Design Architecture Studio was born from a mixture of Jessica’s talent, desire, encouragement, influence, and assumptions. As she began getting clients, her firm grew in lockstep. Eventually Jessica was focused not only on design work, but also began having to think about payroll, hiring, job descriptions, office contracts, benefits, taxes, project management…and the list goes on. Twelve months into this “passion project” Jessica found herself staring at her year end numbers. Jessica's satisfaction quickly dissolved by the mounting burden she experienced every day dealing with the non-architectural aspects of the business! Unknowingly, Jessica had created a job for herself with longer hours (and less pay) than her original position! She wondered how this could be. “Is this how it is for everyone?” she thought. Jessica decided it was time to call for a lunch with Tim Robbins. Robbins & Thamsin Architects was an anchor in the town where Jessica grew up. Tom Robbins and Jamesial Thamsin began the firm four decades prior and made a strategic shift 18 years into the business. Both partners were brilliant architects and focused on innovative design in the higher education with a periodic flirtation in the manufacturing sector. Robbins loved the feel of a freshly sharpened pencil on a page, while Thamsin enjoyed the project management process. Both partners shared a dislike; the day to day back end operations of the business. Thamsin’s friend from church knew a business advisor, Sam Annaris, who specialized in coaching business owners to develop systems and processes to free up partner time and energy. It is widely understood, proverbial even, that where there is no vision, people scatter and wander. Robbins and Thamsin needed an articulated vision so they could function as business owners and lead their team. It was that implementation of vision that spurred Jessica to make the phone call. Do you know what you want your business to look like in 5 or 10 years? 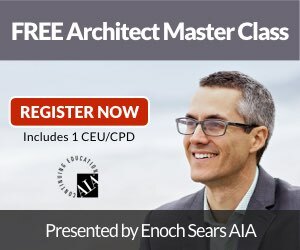 This free Master Class is for architecture firm owners who want to free up more time and learn how to delegate effectively.